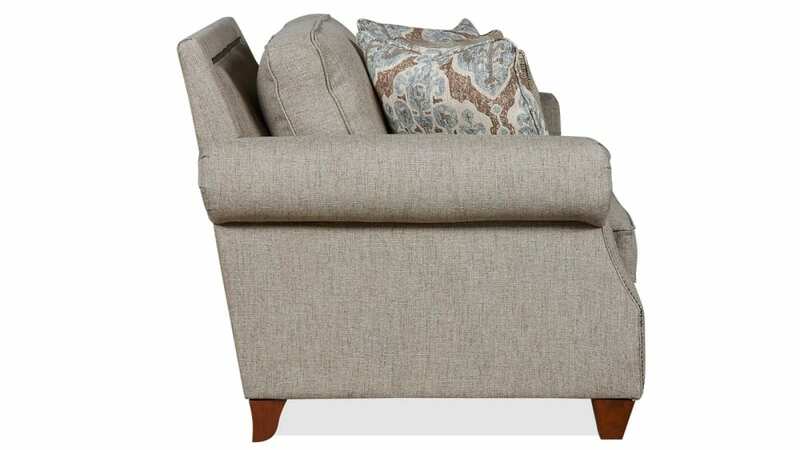 This loveseat was handcrafted by your fellow Americans and proudly Made in Texas. 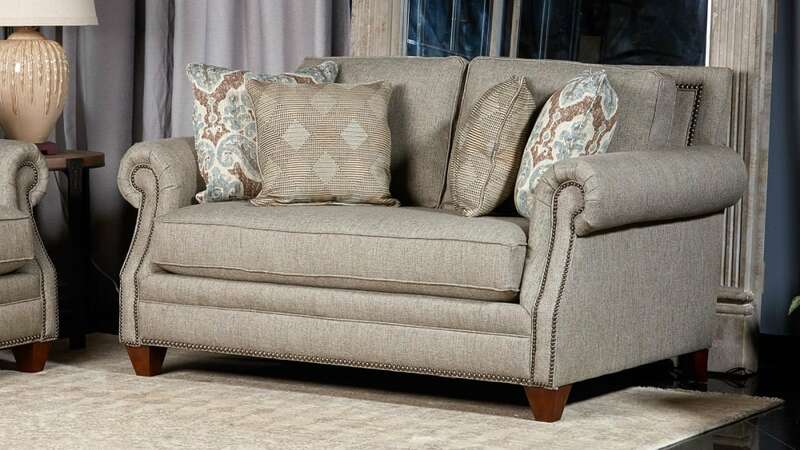 Soft grey upholstery blends with any decor, while still making an elegant statement of its own. A high-quality laminate frame will stand up to the stresses of family life, children, and daily living. 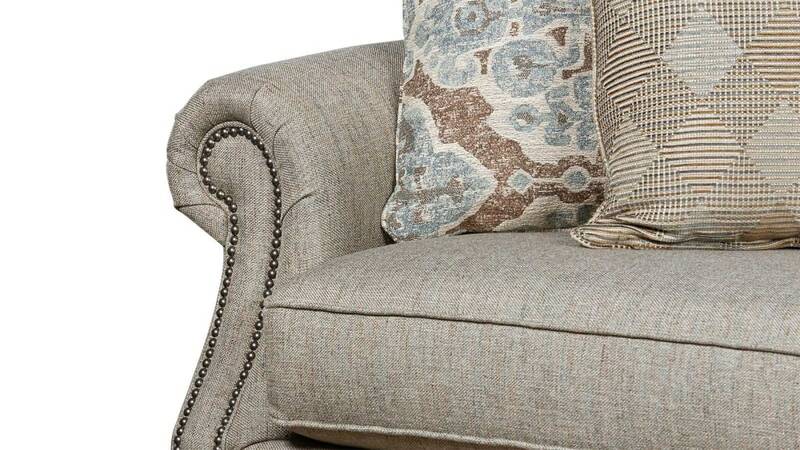 Polished pewter nailhead trim adds elegant eye appeal. Dacron-wrapped foam cushion cores will provide years of comfort. 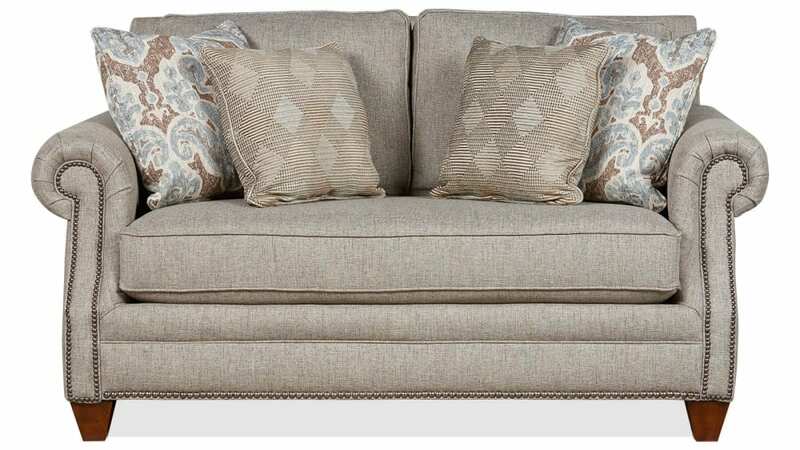 Accent pillows are included, to enhance the cultivated aesthetic.